Browning Ammunition Introduces BPR Rimfire for Plinking, Training & Hunting!! Whether youâ€™re spending time on the range or hunting small game, Browning Ammunition offers a diverse line of rimfire ammunition. 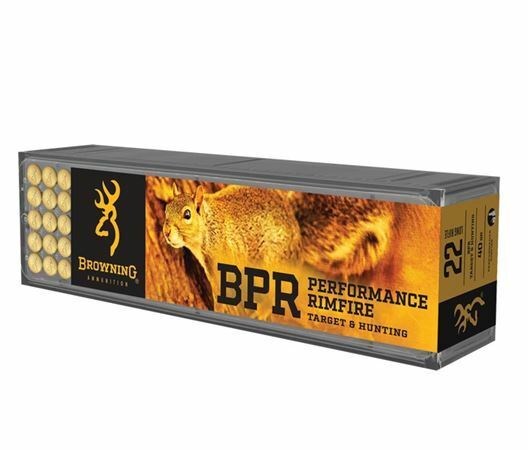 Browning BPR Performance Rimfire, consists of high performance products. The products are designed for accuracy, smooth feeding, reliable extraction and consistent performance. 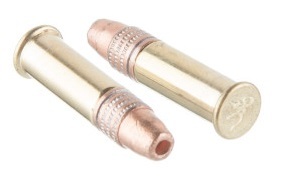 The 40-grain High Velocity Bullet increases downrange energy to extend the effective range of 22LR rimfire and is available in a 100 round plastic pack. Browning Ammunition is designed to the highest standards of innovation, precision and technology. This relentless pursuit for engineering excellence is precisely what has earned the Buckmark its honorable distinction: The Best There Is! !